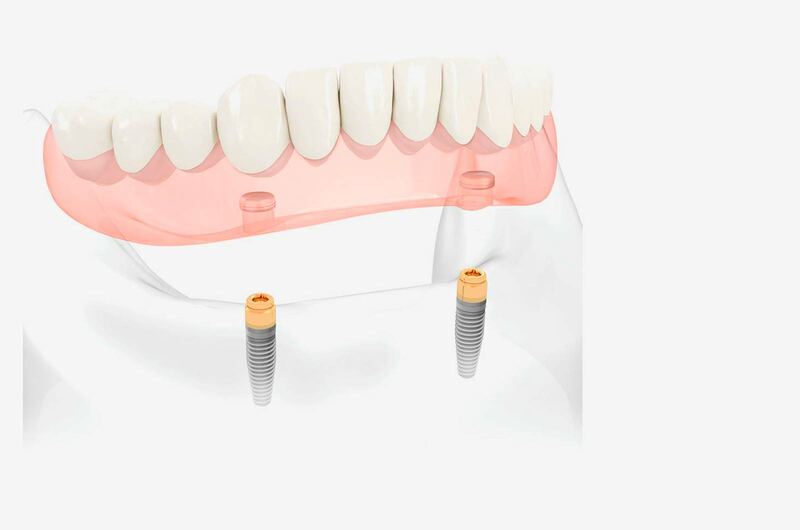 Implantology or implant prosthetics is a branch of dental medicine that deals with the replacement of missing teeth with the installation of a dental implant. 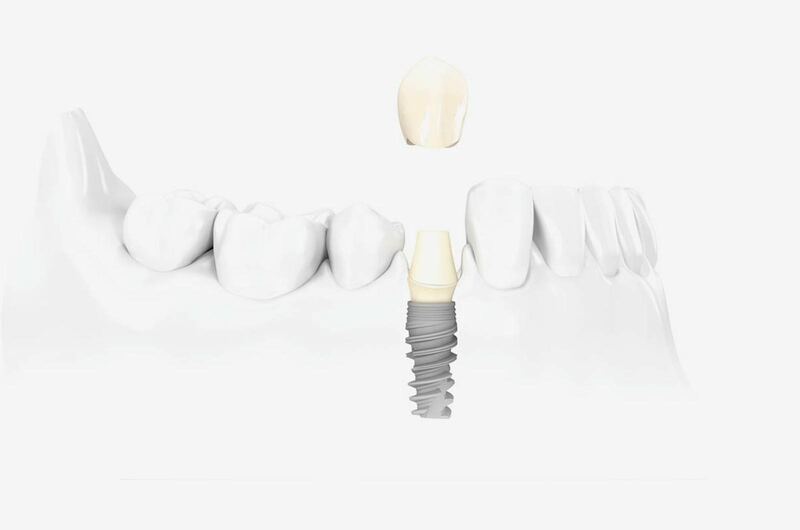 Dental implants are titanium replacements that are surgically installed into the bone tissue of the upper or lower jaw, and serve as a replacement of the natural root, and carry the future prosthetic replacement. 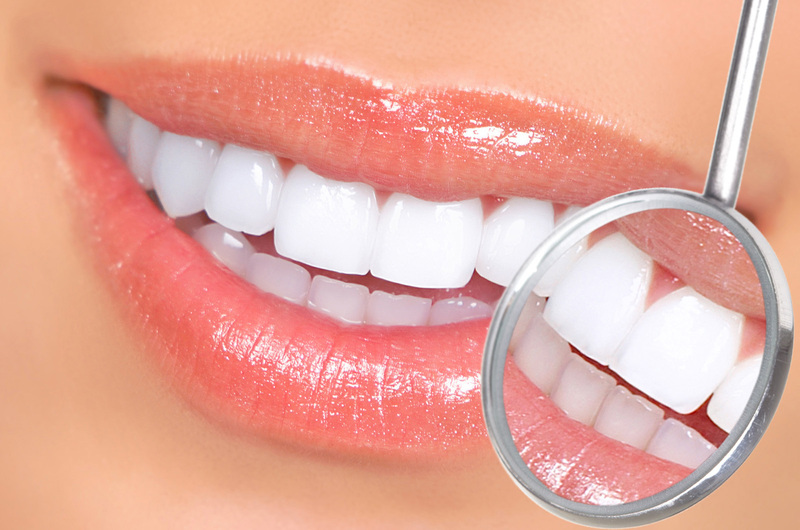 The installation process is completely painless and is conducted under local anaesthesia. 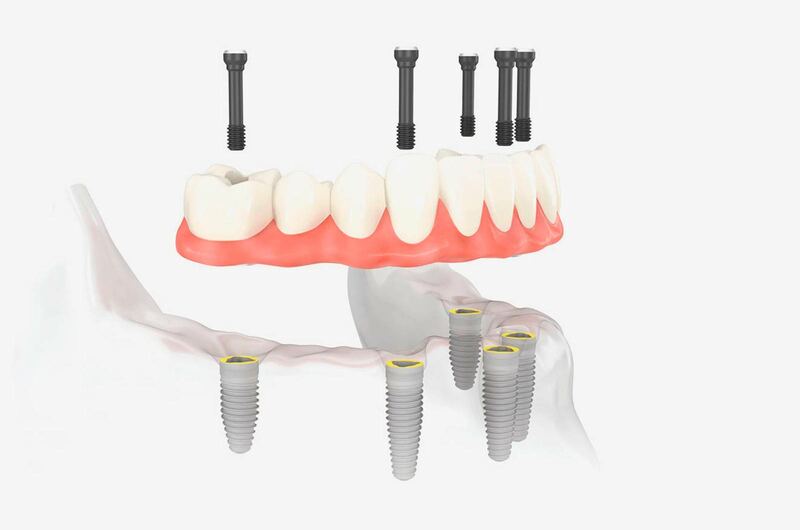 After installation of the implant, an oseointegration period of three to four months is necessary before continuing with installation of the prosthetic and completion of the therapy. 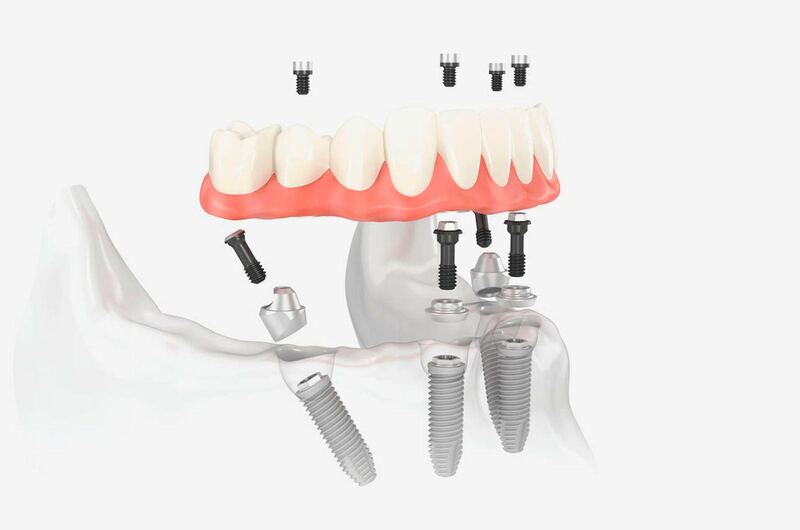 Upon completion of the therapy, the patient, depending on the indications, can receive a fixed prosthetic replacement, or a mobile prosthetic that is attached to the installed implant. 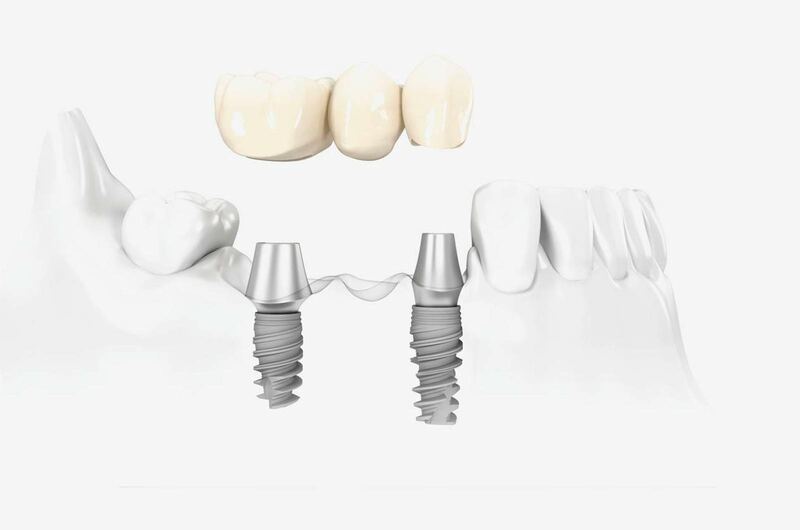 The contemporary materials that can be used to create the fixed replacement are metal-ceramic, zirconium-ceramic and press-ceramic. 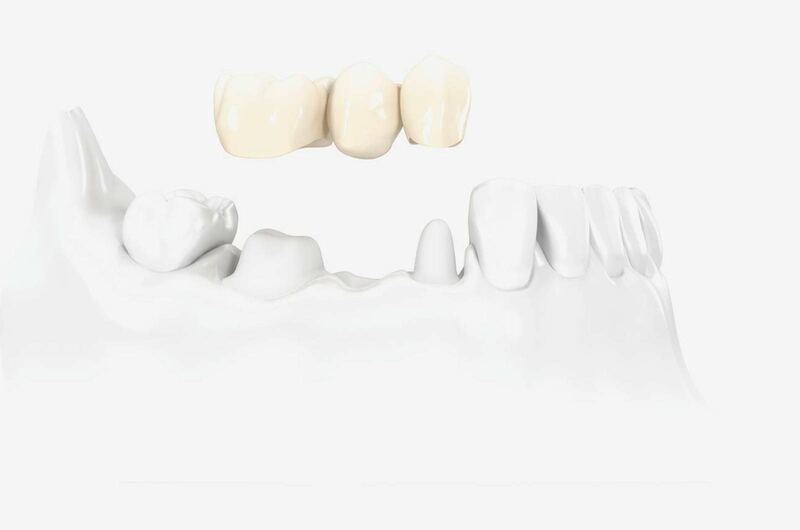 Metal-ceramic is the most common choice and ensures very good aesthetic properties, while the zirconium-ceramic and press-ceramic options give exceptional results due to the fact that they are not metal based. 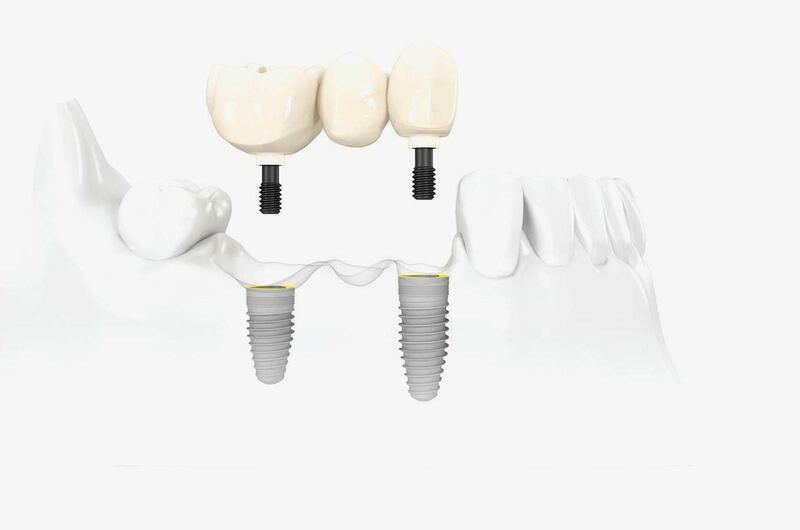 It is important to stress that implants ensure the most optimal transfer of chewing forces to the surrounding bone, thereby significantly reducing atrophy and the loss of surrounding bone at the site of the tooth removal. 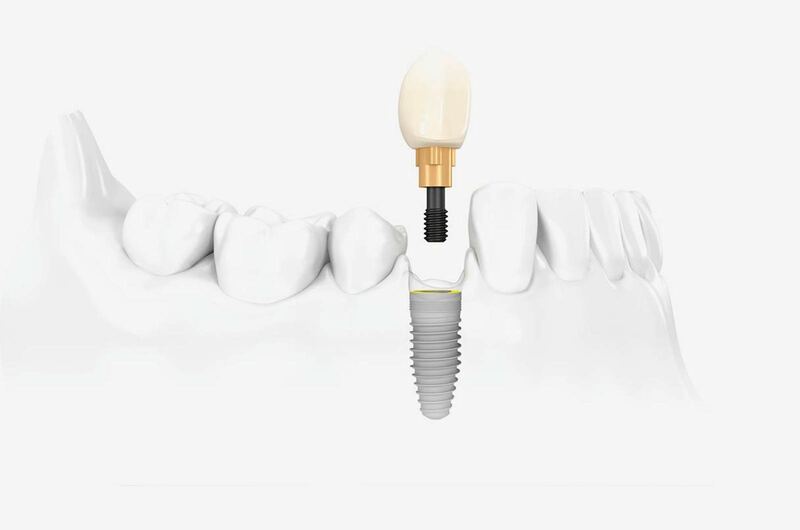 Installation of a dental implant is one of the safest therapeutic procedures in dental medicine, with a success rate between 95 and 98%. 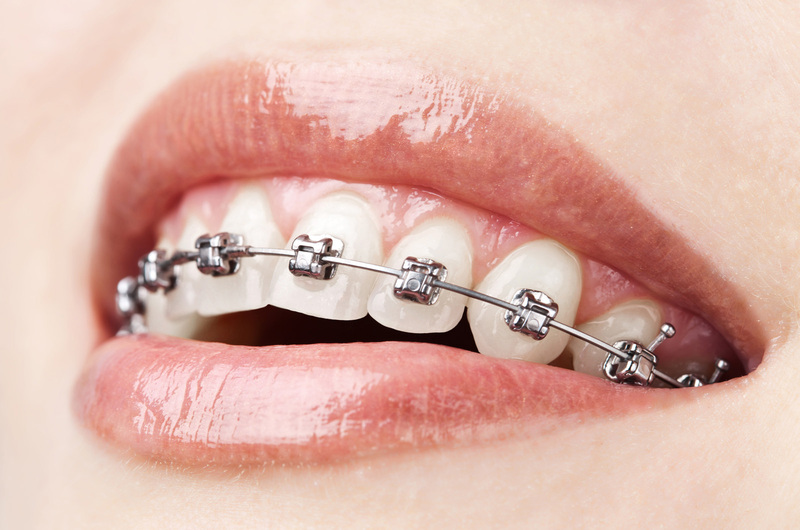 Orthodontics is a branch of dental medicine that deals with correcting the position of teeth, and correcting the fit of the upper and lower jaws. 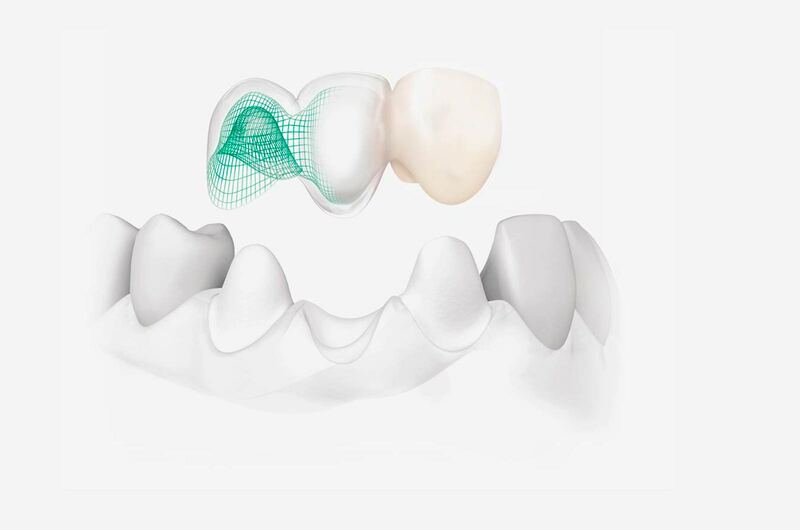 This correction is done using an orthodontic apparatus that can be either fixed or mobile, depending on the indication. The most effective manner of correcting orthodontic anomalies is the fixed orthodontic therapy, with the installation of orthodontic braces on the teeth and installation of a bar that guides the teeth into the proper position. 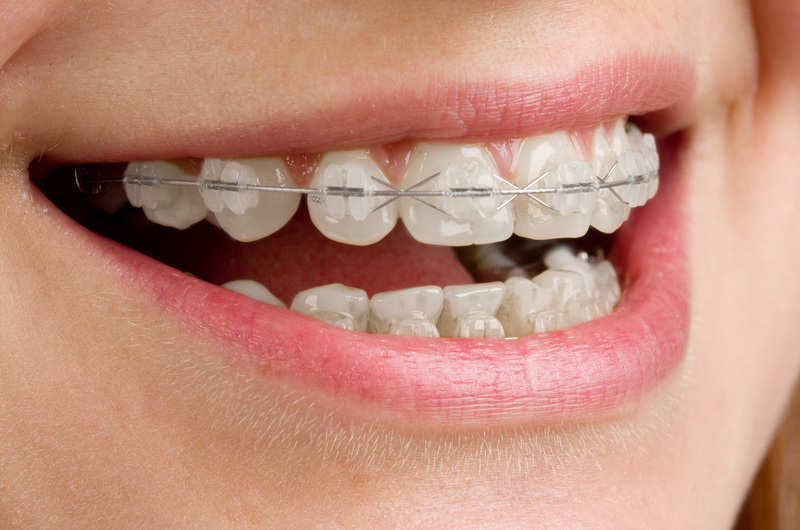 There are many positive aspects of orthodontic therapy, and today these are seen more as a necessity than a luxury, include creating the proper position of teeth, which reflects both on the aesthetics of the smile and the face, and improving functionality by ensuring a proper and even bite, which is the prerequisite for the health of the underlying support of teeth and the entire chewing system. 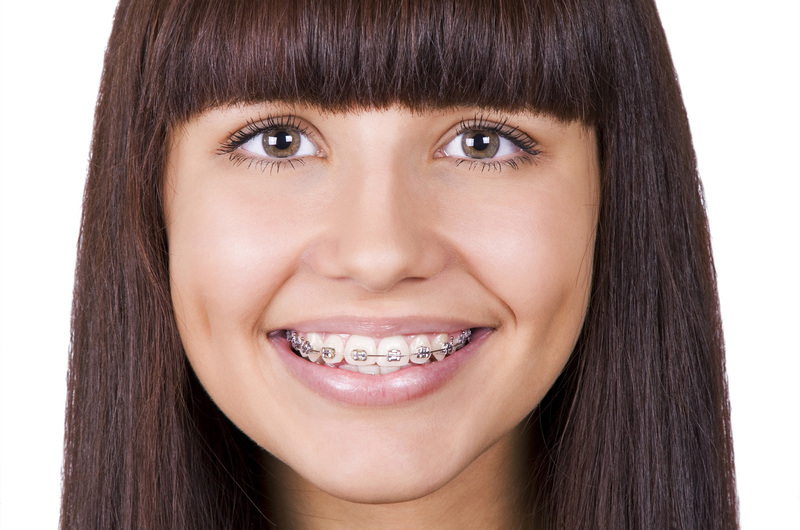 There are no age limits for orthodontic therapy. 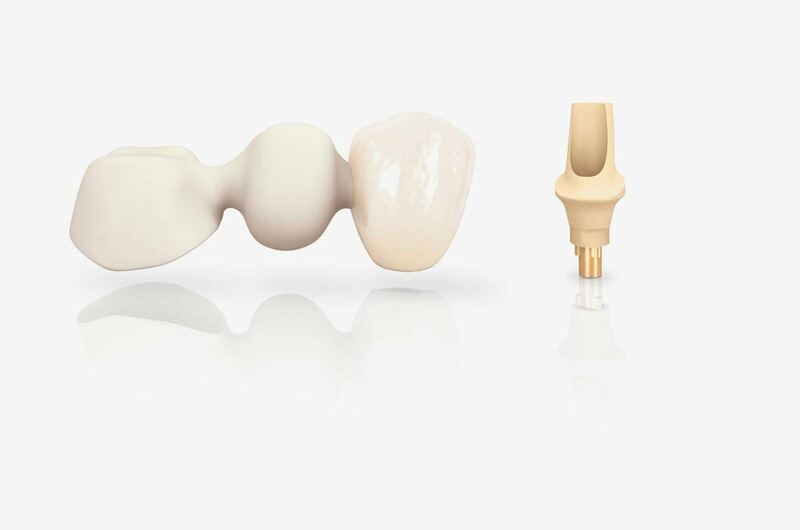 Aesthetics in dental medicine is very closely associated with development technology, and today’s microinvasive therapeutic methods can achieve exceptional aesthetic results. These include an interdisciplinary approach to therapy activities with the close cooperation of dentists of various specialisations and dental technicians. 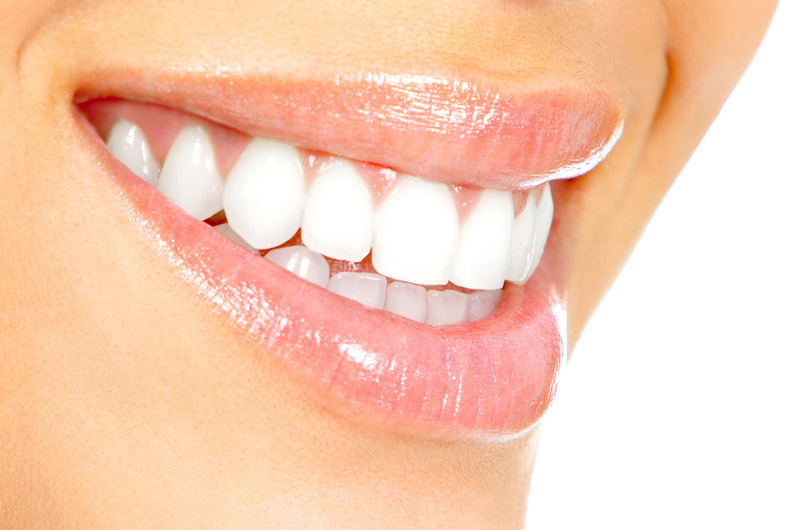 The individual approach taken to each patient ensures both a beautiful and healthy smile. 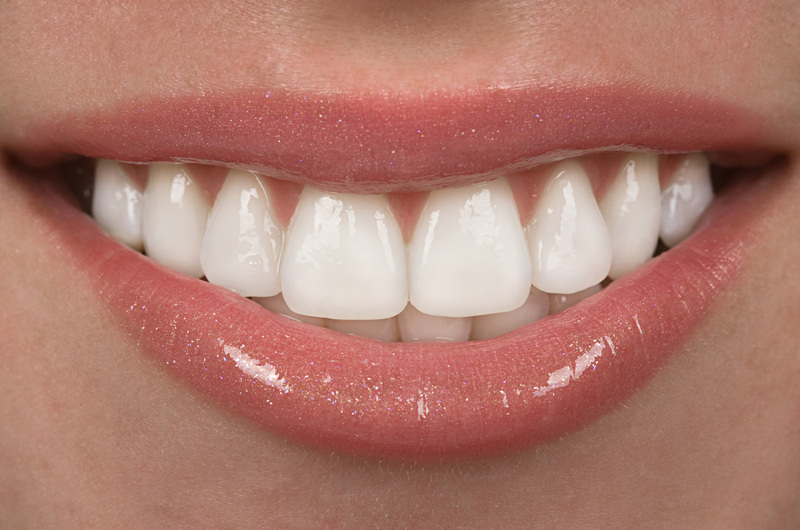 Patients today are often dissatisfied with the aesthetic appearance of their teeth, due to tooth discolouration, cavity lesions, inadequate shape or position of the teeth. In such cases, various therapeutic approaches are possible in order to achieve the optimal aesthetic effect. is a procedure to remove various forms of pigmentation, or discolouration, of the teeth caused by smoking, excessive consumption of coffee or red wine, inadequate previous dental work… The procedure is completely safe and does not damage the hard tooth tissue. The procedure takes place in the dental clinic, and the teeth are coated with a hydrogen peroxide gel and exposed to special whitening lights. 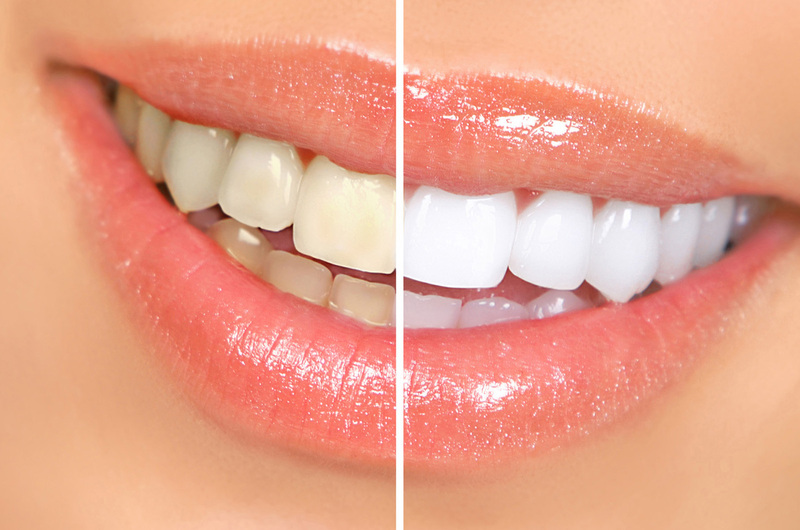 The entire process takes about 60 minutes and, depending on the cause of tooth discolouration, the result can be teeth that are several shades lighter. The achieved shade lasts several years. 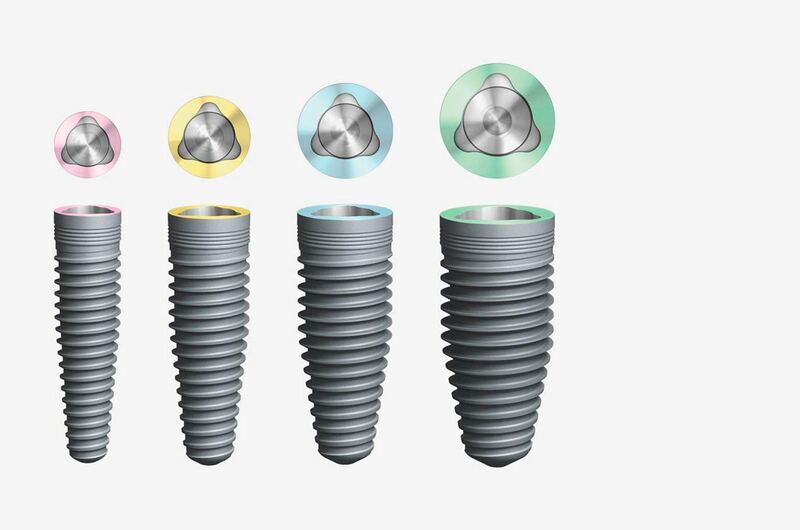 Caps are prosthetic replacements that correct the position, discolouration, damage or wear of teeth, and are installed with a minimally invasive method in which only the visible section of the tooth is sanded down. Due to the exceptional aesthetic advantages and minimal sanding of the tooth, this today is the most commonly selected procedure to remove the above tooth shortcomings. 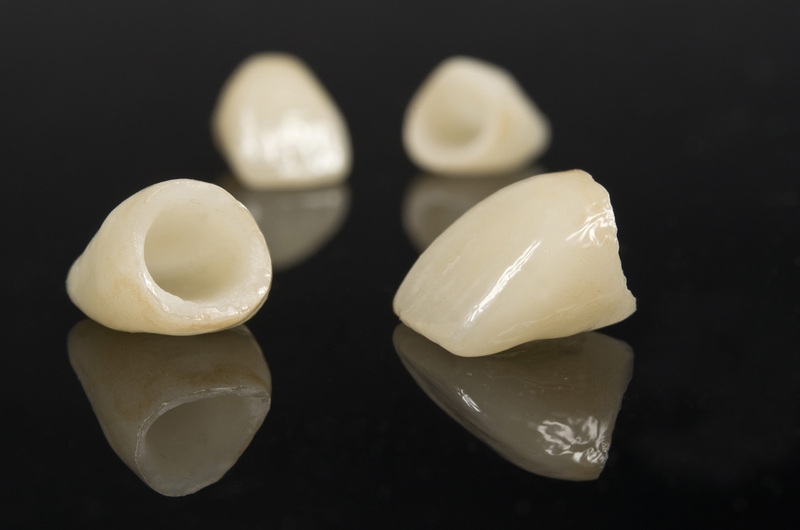 These are created where there are more substantial changes to the tooth or due to a larger loss of the hard tooth tissue, and these can also create an impressive aesthetic effect and return lost tooth function. Due to the fact that they are metal-free, the optical characteristic of such crowns are very similar to natural teeth, giving an exceptional appearance. 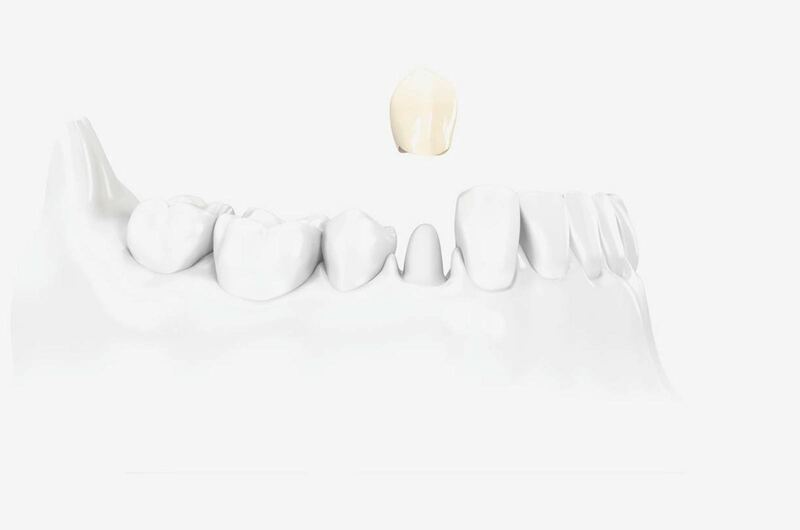 Composites (white) fillings have nearly completely replaced amalgam fillings in clinical practise, and can be created in such a way that they faithfully mimic the morphology and appearance of healthy teeth. 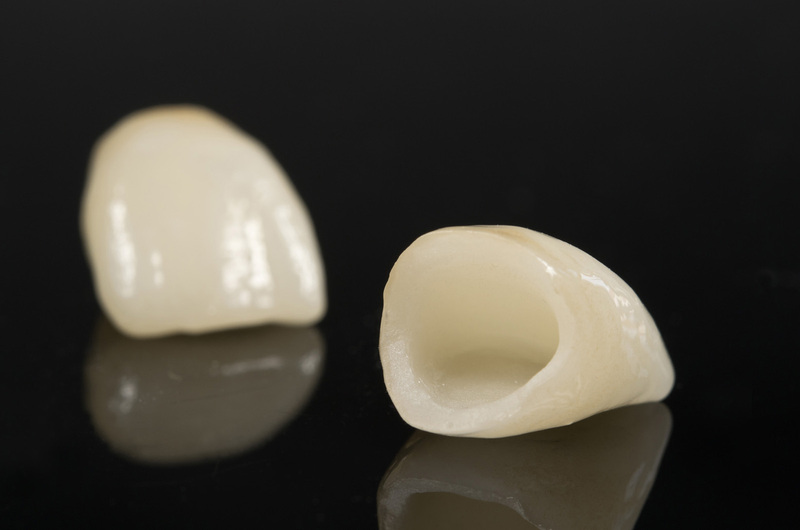 The advantage over other types of fillings is more than just aesthetic, as composite fillings are also superior in terms of their mechanical and adhesive properties.